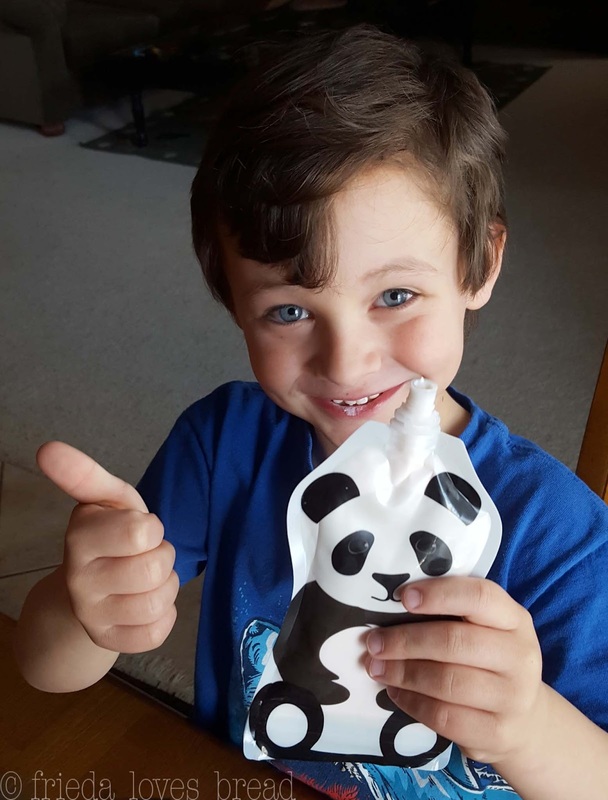 Food pouches are a fun treat and great to have on hand in the car, at the park, or grab on the go with your kiddos. Why not make your own food pouches? They are easier to make than you think! 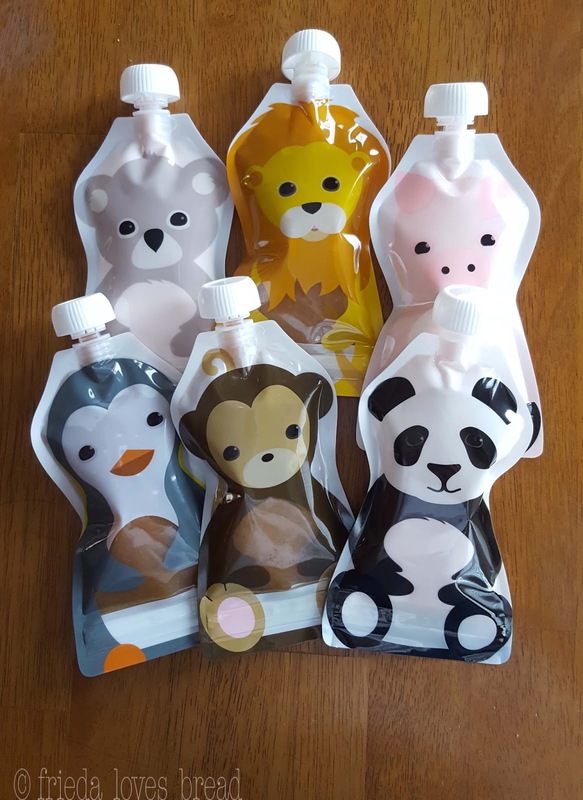 I used my homemade yogurt and added a touch of cinnamon to my homemade applesauce for these fun animal pouches from Squooshi. Not only will you know what is in your food pouches, think of the savings you will have by making your food/puree/smoothies, and reusing these pouches! I choose Squooshi because these pouches are Reusable. I also wanted something that was Easy to fill, and didn't leave a big mess with a lot of waste. This post and video is not sponsored by Squooshi. Take a look at how easy and cute these are! Aren't they fun? I ordered the Squooshi bundle that has a fill station and includes 6 large (6oz) refillable pouches. It's not a complicated set-up and it is very easy to use. I also found cleaning the pouches and the tank very easy. If you watched the video, you may have noticed that I put some of the yogurt/applesauce on the orange silicone part of the plunger. This is to lubricate the plunger and make it easier to push the food, smoothie, or puree through the tank. Pouches are BPA-free, Phthalate-free, PVC free and Lead-free. 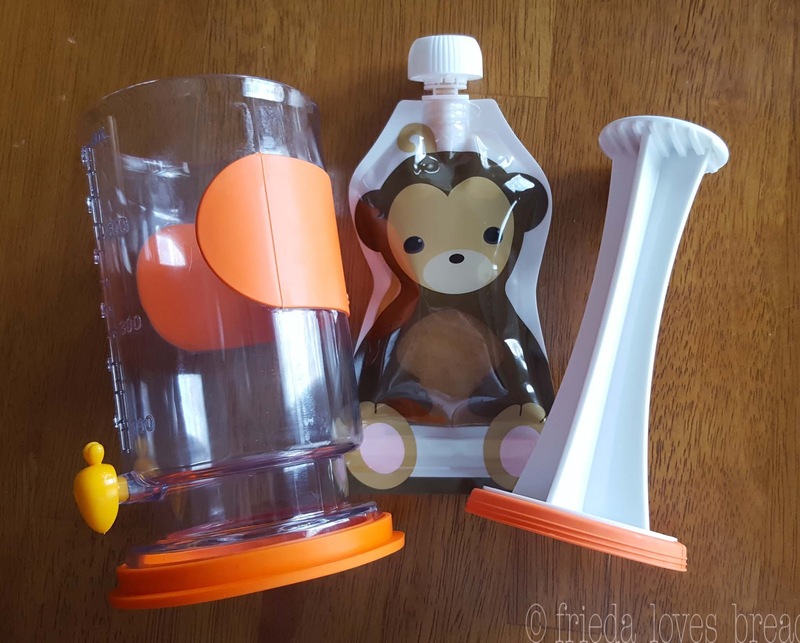 Pouches and tank are top rack dishwasher safe - hand washing is recommended for the plunger to maintain the integrity of the silicone seal. Caps are easy to twist on - twist off. Soft -No Choke Top caps are recommended for teething toddlers. 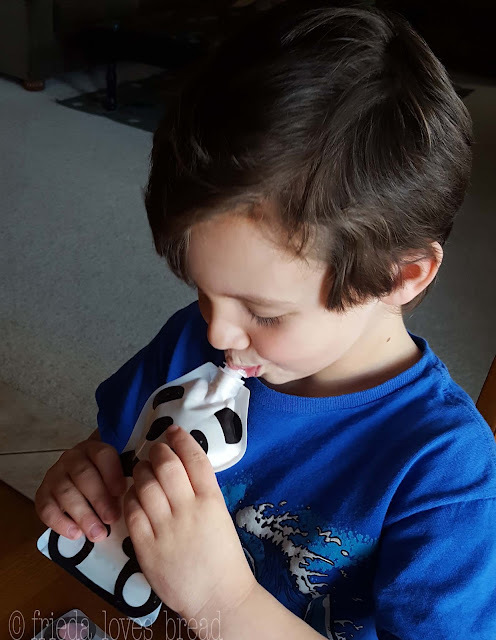 This little guy had a hard time choosing which animal he wanted, but ended up choosing the strawberry yogurt Panda. There are other, smaller reusable pouches available, and they fill from the bottom. You have to be careful filling them, as food or seeds can get trapped in the zippered bottom and won't seal very well. I used a total of 4.5 cups of yogurt/applesauce to fill these pouches and will definitely be ordering another cute Squooshi animal set!